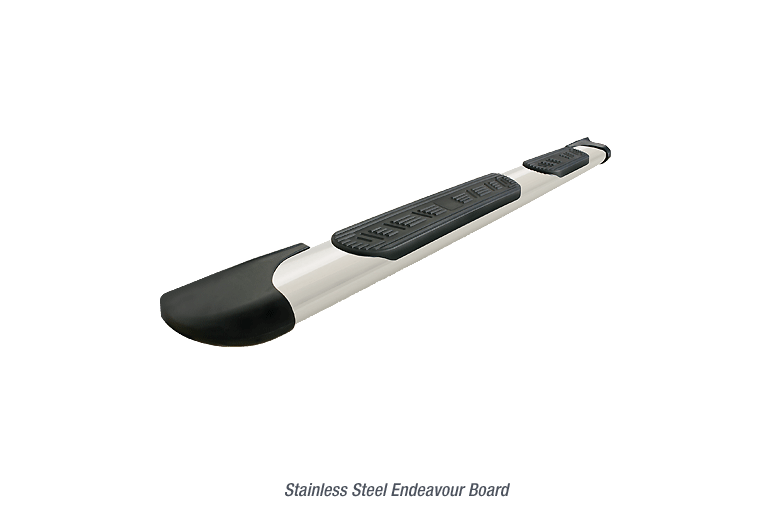 The Endeavour board provides you the look and feel of OEM running boards at a fraction of the cost. If you are looking for a way to provide easy access to the cab of your vehicle while keeping a high end feel to your ride then these are the steps for you. ∙ Vehicle specific bracket system provides a perfect fit.